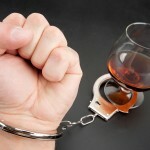 If you’re arrested for DUI in Orange County, you’re going to need the counsel of a good Orange County DUI attorney. But simply being stopped by the police doesn’t mean that you’ll be arrested. If you handle a traffic stop properly, you can reduce the chances of an arrest. What’s the best way to handle a traffic stop in southern California? Be cooperative: No one likes getting pulled over, but if you’re belligerent or confrontational, the chance of an arrest increases. Of course, if you are plainly intoxicated, you’ll be arrested, but even then, you should cooperate by not resisting in any way. Never lie to a police officer. If asked how much you were drinking, when, or where, politely tell the officer that you prefer not to answer questions without an attorney present. Don’t “joke” with the officer: While you must be cooperative during a traffic stop, don’t be a comedian, either. The officer will probably be offended and decide that you’re intoxicated. Don’t try to “bargain” with a law enforcement officer, either. They’re trained to perceive that as a sign of guilt. Don’t test before the arrest: Unless you are under 21 or on probation for a previous DUI conviction, you are not required to take a breath test or submit to any field sobriety tests unless you are in custody. When you refuse, be polite. After you are arrested, the law requires you to submit to a DUI test if requested, and if you refuse at that time, an additional penalty can be attached to your DUI sentence upon conviction. You could be stopped by the police for a variety of reasons: you could have a broken light or expired license tag; you could fit the description of someone being sought for a crime; or an officer could decide that you’re driving recklessly. 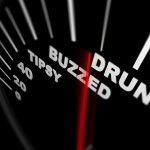 If you’re not over the legal blood alcohol content limit – or intoxicated by something other than alcohol – there’s no reason you should be suspected of DUI. However, if you are arrested and charged with driving under the influence, legal help is here. 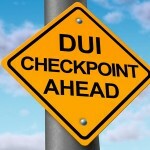 After a DUI arrest in Orange County, contact an experienced Orange County DUI attorney as quickly as possible.